It was officially announced that Trisha was signed for Selvaraghavan's new film with Simbu and also did a photoshoot a week back of which pictures are yet to be released!! At this time reports from K-town says Trisha has opted out from the film. Actress Trisha has been in signing spree. Sources say that, the actress, after agreeing to do Selva's film went ahead and gave bulk dates to Kamal Haasan's action thriller and also Sundar C's Aranmanai 2. 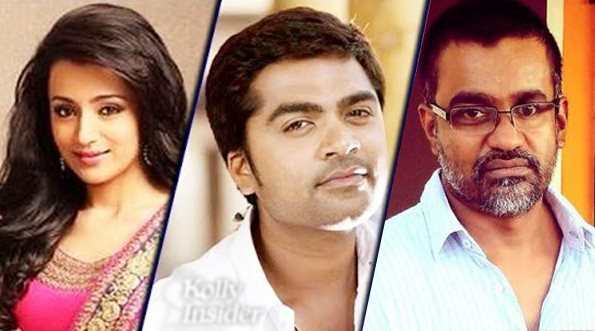 Hence the actress couldn't allot immediate dates to Selvaraghavan who was supposed to start the shoot from May 11! At the time when director Selva and Trisha are tight-lipped about the same; speculations making rounds, a section of sources claim that Trisha has opted out as the project is being funded by her ex fiancé Varun Manian. Remember, Trisha had walked out of untitled Jay-Thiru film for the same reason. When contacted, a source close to Selva's project say that it is too early to comment on this news. He said: "There are date issues and we are trying our best to work out a solution". Meanwhile Selva who had planned to start the shoot involving Trisha is now looking for an apt replacement. The untitled film is said to be an action thriller which also has Taapsee as another female lead with Yuvan's music. However, actual reason can be known only if Trisha or Selvaraghavan come out with an explanation.